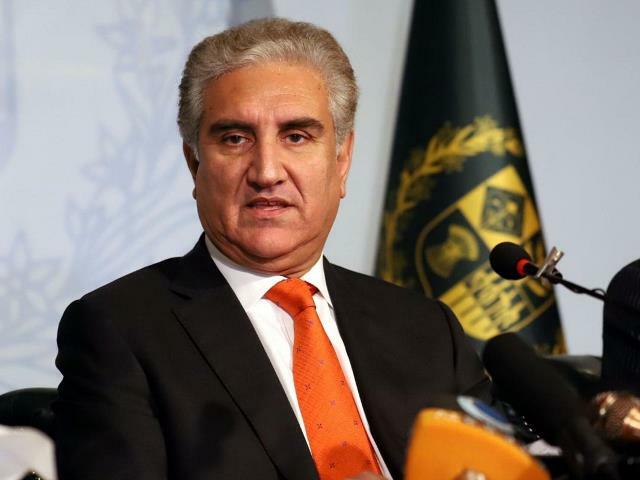 Foreign Minister Shah Mahmood Qureshi believes the world will believe Pakistan’s point of view regarding the Pulwama attack once it sees that our stance is based on fact and reason. He said this is already happening in India. UN Secretary General Antonio Guterres called on Tuesday on India and Pakistan to take immediate steps to defuse tensions and offered to help broker a solution if both sides agree to UN mediation after Qureshi wrote a letter to the UN about the Pulwama situation. The two countries have been locked in a diplomatic clash following a suicide attack on February 14 in Indian-Administered Kashmir that killed 40 Indian security personnel, triggering counter-operations by Indian forces in the area. India has blamed Pakistan for the attack and taken retaliatory measures including stopping the export of tomatoes to the country and removing its status as a favoured nation for trade. The US has also called on the two countries to resolve the issue. “As far as Pakistan goes, we’ve been in contact with Pakistan on this issue. We urge Pakistan to fully cooperate with the investigation into the attack and to punish anyone responsible,” said Robert Palladino, a deputy spokesperson at the US State Department during a press briefing on February 19. Speaking exclusively to SAMAA TV, Foreign Minister Qureshi said de-escalation is everyone’s responsibility. We are in contact with all these countries and organisations and will present our side of the story, he said. He said Pakistan has already offered to be part of the investigation and cooperate with India. Pakistan has criticised the way India assigned responsibility for the attack without conducting an investigation. Our stance is based on truth and is reasonable, he said. When they see this, they will understand our point of view, he said. A national security meeting has been called tomorrow (Thursday) by Prime Minister Imran Khan at which we will gauge the situation, in light of the PM’s recent address to the nation. In his address, the prime minister warned India that Pakistan would not think twice before retaliating if it came down to it. I have been briefed by our ambassadors across the world on the response to the situation, including by High Commissioner to India Sohail Mahmood (who was recently recalled from Delhi) and I believe Pakistan’s stance is based on reasonability and rationality, said Qureshi. Discussing a statement by Mamata Banerjee, the chief minister of the Indian state of West Bengal, he said she too brought up the coincidence that these attacks occurred in an election year. “When elections are knocking on the door you are trying to stage a war… a shadow war. Amit Shah and Narendra Modi are delivering political speeches. Even after such a big mishap you do not resign taking responsibility and are instead delivering political speeches,” she told the Indian media. The truth will come out, said Qureshi. Voices will rise from within India, like those of CM Banerjee, he predicted. The foreign minister also praised China’s stance on the issue. He said China has always formed it opinion and made decisions wisely, after taking all the information into consideration, and has indicated that India is pointing fingers at Pakistan without any evidence. He said it may be difficult for India to come to the table and address this issue, given how far they have taken it. The anti-Pakistan narrative may sell in India, but a new narrative has begun, he said. People are now questioning why, if the government was aware of security alerts in the area, it didn’t say anything, said Qureshi. It was an internal intelligence failure and government failure, he said, adding that the BJP’s policies and jingoism is now being questioned within India.